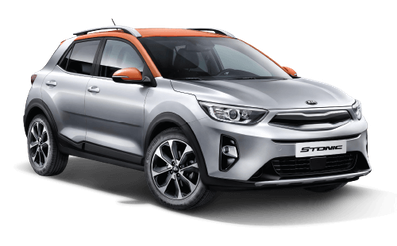 Stonic, created on the platform of the new Kia Rio, looks more aggressive and emotional, attracting attention with sharp body lines, expressive projection front and LED tail lights, and a bright color scheme. 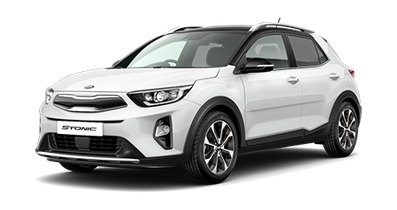 When it comes to Kia Stonic, the words "style" and "practicality" can be safely put in one row. The car was spacious in terms of class B-SUV salon, in which people of different builds will feel comfortable and cozy. The back of the rear seat folds in a ratio of 60/40, and additional luggage can be placed in the optional box, which is mounted on the roof of the car thanks to the rails. Even the initial version of the Comfort will be able to boast of a remarkable equipment, including six airbags, a stabilization system, an anti-lock braking system and a help system when starting on a slope. Extremely relevant in the cold season are "warm options", namely heated steering and front seats, which are also included in the list of equipment Stonic. Cruise control, automatic headlights and air conditioning allow you to comfortably carry out both short city trips and travel. For entertainment meets the 7-inch multimedia system.